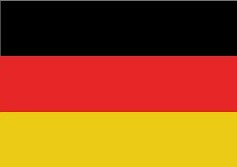 Bitte die Flagge anklicken, um zur deutschen Website zu gelangen! 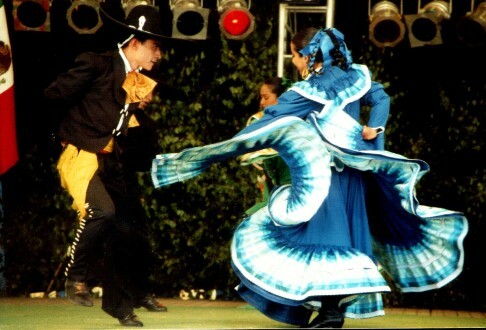 The history of the "Grand Prix of folklore – international folklore dance festival for the federal state of Mecklenburg-Western Pomerania" in Ribnitz-Damgarten and the district of Vorpommern-Rügen began in summer 1990. In this year summer fair in the county town Ribnitz-Damgarten developed into the first dance festival. 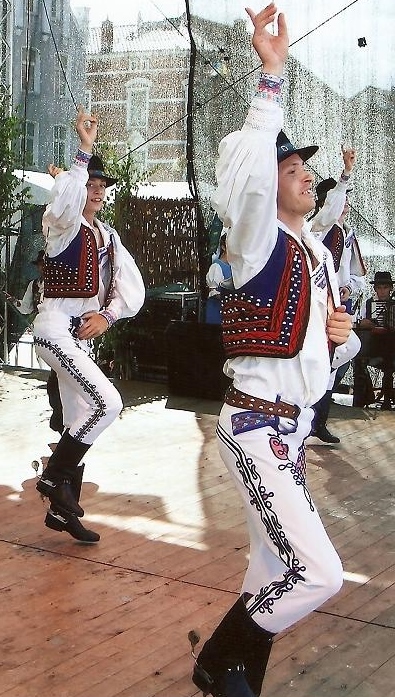 The Mecklenburg-Western Pomeranian folkdance group "Richard Wossidlo" from Ribnitz-Damgarten, the host of the first dance festival, then invited children’s, youth’s and adult’s groups of all genres of dance to the festival. During the festival of the city Ribnitz-Damgarten in 1991 the idea to increase the quality and quantity of the festival arose. This marked the beginning of the international folkdance festival for the federal state of Mecklenburg-Western Pomerania. To increase the significance of the festival we tried to get the patronage by the president of the state parliament. Since 1992 the president of the state parliament has been continuously the patron for this marathon of dance. In the analysis of the 3 rd international folkdance festival of the federal state in 1992 sponsor, the youth society German rainbow member of the DJO-german youth in Europe, and the host, the Mecklenburg-Pomeranian folkdance group "Richard Wossidlo" from Ribnitz-Damgarten 1962 e.V., agreed to create a three year cycle for the festival. Thus, since 1993 the festival has been organized in turns for youth’s, children’s and adult’s groups. The 1st folkdance festival in Ribnitz-Damgarten focused on german-german understanding and friendship. It represented the situation right after the German reunification and should show the others with which perspective folklore and folk dance or, to be precise, dance in all it is varieties, have been maintained and developed. Right after the first festival in Ribnitz-Damgarten those responsible for it noticed that the interest of the audience was mainly in folklore and folk dance. So such groups and stage dancing groups were invited to the 2nd festival in 1991 including the first two foreign groups have been invited by the Mecklenbug-Pomeranian folkdance group "Richard Wossidlo" from Denmark and Poland. An audience award was created in 1993 and subsequent in 1996 an award given by an expert jury. Thanks to commitment, diligence and personal willingness of the organizers and the uniqueness of the festival, it got so significant that is it was entered into the C.I.O.F.F. ,Calendar of Festivals“ in 1995. Many international groups applied to the festival ever since. During the last 24 years the festival was never canceled or postponed despite rainstorms and all the other problems that might occur. 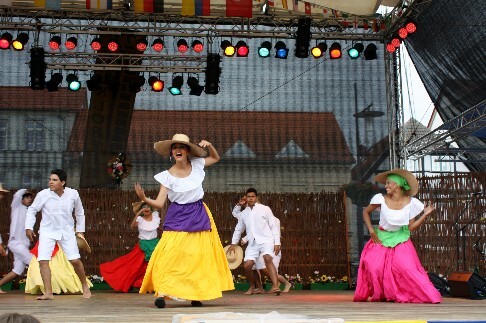 In addition to folklore dance many different programs are presented on the stage of Ribnitz-Damgarten inviting the audience to participate, to dance, to sway to laugh.